A Canadian reviews the month's North Korea news with a special guest. For September, Andrea talks to Alison Evans -- deputy head of Asia-Pacific country risk at IHS Markit. They revisit UN General Assembly drama, developments in alliance politics, and North Korea's stunning victory at Disney puns. Proliferators not only need to move goods around the world to support their WMD and missile programs, they need to move money too. How do they get into the international financial system undetected? Can banks do more to stop them? Who is leading the global charge on countering proliferation finance? Andrea talks to Tom Keatinge, a former investment banker-turned financial crime specialist. Report: "Out of Sight, Out of Mind? A Review of Efforts to Counter Proliferation Finance"
The Trump Administration is reportedly mulling the development of new "low yield" nuclear weapons in its Nuclear Posture Review. But is this really new? Or is it that we just don't trust the Trump Administration with sharp objects, let alone the bomb. Jeffrey and Aaron discuss the recent history of proposals for new nuclear weapons, including low-yield ones, as well as how partisan framing and foreign perceptions may matter more than the technical reality. Bryan Bender, "Trump review leans toward proposing mini-nuke," Politico, September 9, 2016. Olga Oliker, Russia’s Nuclear Doctrine: What We Know, What We Don’t, and What That Means, CSIS, 2016. Steven Young, "Just How New is the New, Nuclear-armed Cruise Missile?" UCS, 2016. Lewis Dunn et al, Foreign Perceptions on U.S. Nuclear Policy and Posture, SAIC, 2006. The final part in our three part series! Episode 1 can be found here. Episode 2 is here. This addendum episode includes discussion on new developments, the DPRK's 'Site B' for SLBMs, and the Golf submarines. 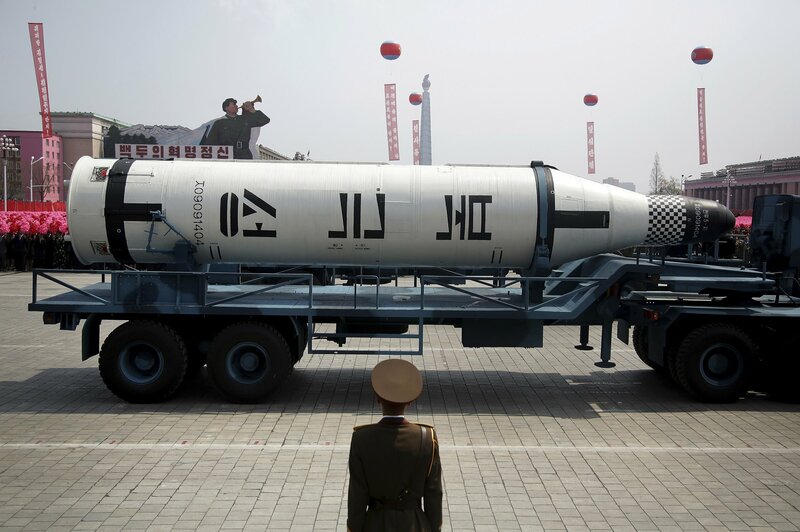 In addition to a new ICBM and thermonuclear weapon, North Korea is also developing new class of solid-fueled missiles. 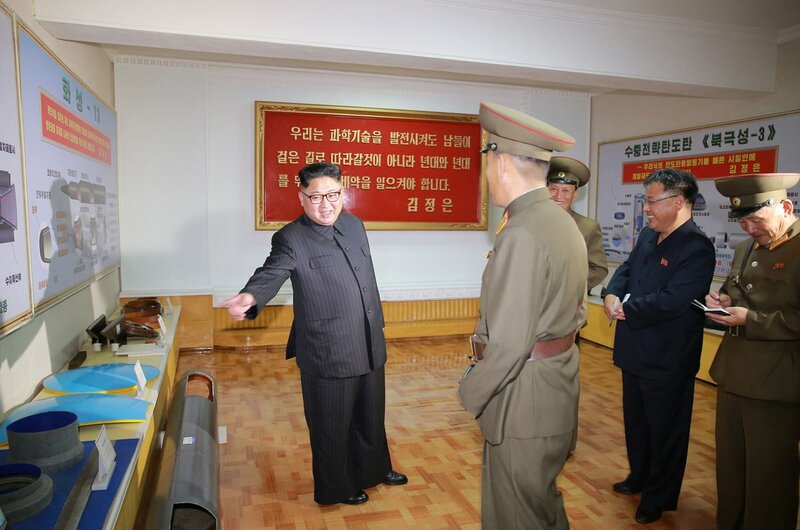 Joseph Dempsey from the International Institute for Strategic Studies joins Jeffrey in a special three part episode to discuss the Pukguksong-1 submarine launched ballistic missile, the land-based Pukguksong-2 medium range ballistic missile, and Kim Jong Un's visit to the Chemical Material Institute in Hamhung. The Pukguksong-1 on parade with its potentially-new airframe on display. The second part in our three part series! Episode 1 can be found here. Jeffrey was lounging at the beach with his phone off. You know what the means: NORTH KOREAN NUCLEAR TEST TIME! North Korea released images of Kim Jong Un inspecting what looked like a two-stage thermonuclear weapon and then, before analysts could pretend it was just a pinata, kablooie! North Korea detonated its largest nuclear explosive ever, with a yield of a few hundred kilotons. Aaron and Jeffrey talk about North Korea's H-bomb and try to end on that ever elusive happy note. USGS Earthquake Reporting for the 6th nuclear test. CTBTO Reporting for the 6th nuclear test.